I’m really sad to be saying good-bye to 2009. It’s been a year of change, growth, challenge, and wonder. But I am also tilting my head up, stretching it towards 2010, because I know it will be a year – I will never forget. Come with me as we highlight and reminisce. January-Happy New Year! I spent New Year’s Eve at a Dallas Stars Hockey game with the love of my life. We cheered among a crowd of thousands at Victory Park in downtown. Nothing better than his birthday and a New Year. Feburary-My niece got married. 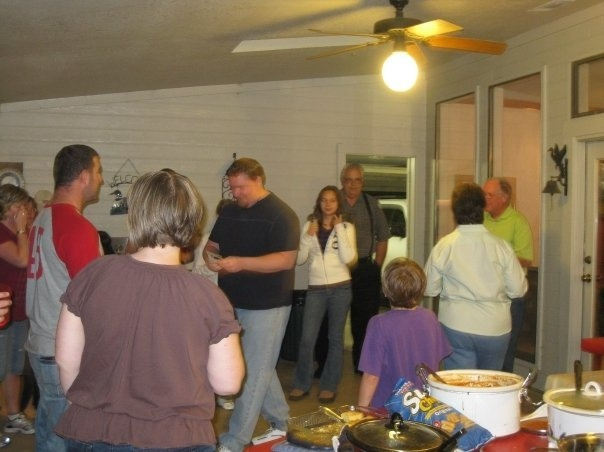 This was Jason’s first big family function that wasn’t a funeral. And we did a big Valentine’s Party with the girls. April-April made up for what March lacked. 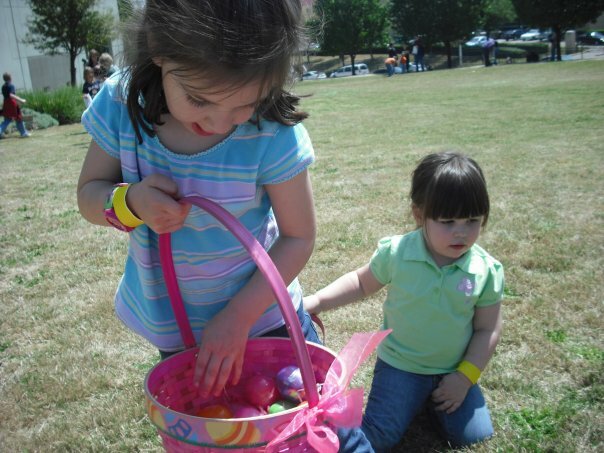 We took all the kids – and my ex-husband, his wife and little boy – to my Church’s big Easter egg hunt. Jason’s oldest, Molly, turned five. It was the first birthday party with the girl’s mom for me. I had met her, but not spent time with her. I was really excited to get to know her. I thought we could have a friendship (like I do with my ex). I love those girls and she created them. Jason never said a bad word about her. She was as cute as I thought she’d be. Lastly, we witnessed the hardest thing I have ever been through. 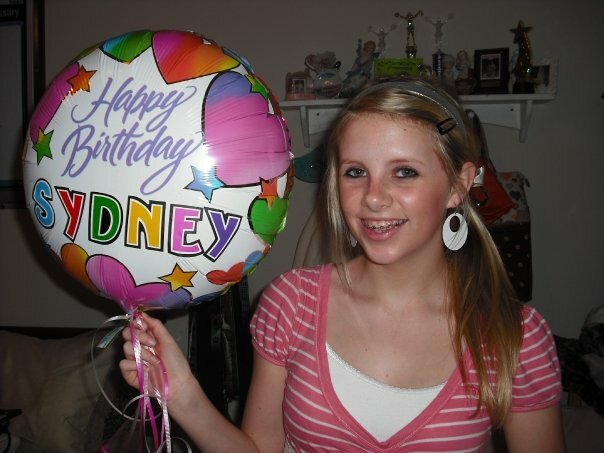 May-My daughter Sydney turned 15. Jason and I celebrated our one year anniversary of meeting. May 18. A dozen red roses, a James Avery charm bracelet with a heart charm, and wonderful Ocean Trout Sushi. What a celebration. And my 20yr old niece and her boyfriend moved into my extra bedroom at the duplex. June-Jason started graduate school. 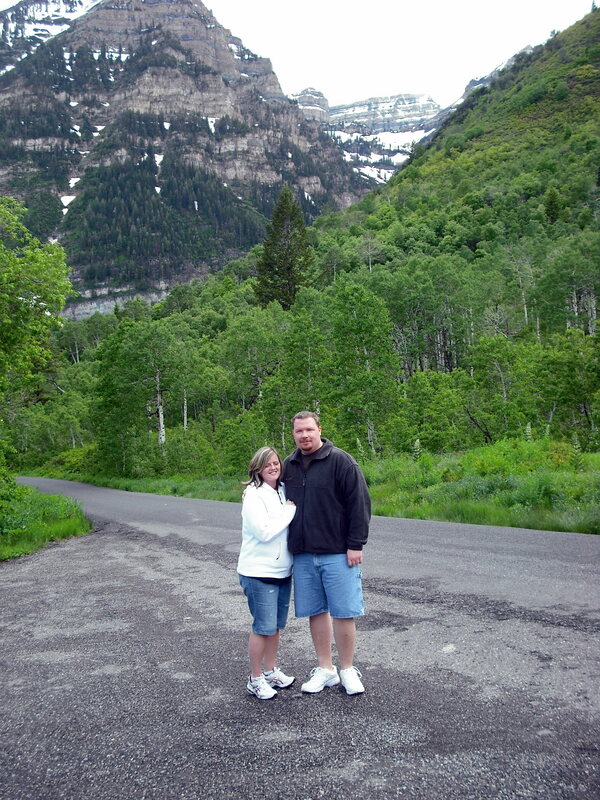 We visited Salt Lake City, Utah fell in love and wanted to move there. 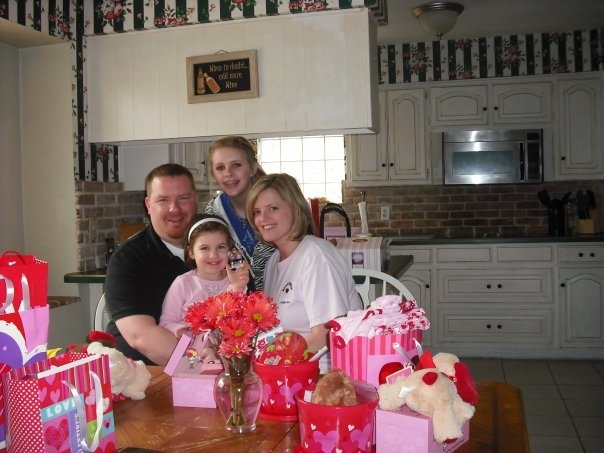 My ex-husband, dad of my daughter, and my dear friend moved to Gulfport, Mississippi. Jason’s youngest, Bridget, turned three. July-My one year anniversary with the girls. I met them on July fourth. We spent it with Jason’s family watching fireworks at Trinity Park in Fort Worth. Jason attended another family gathering of mine when my brother got married at his house. I cried at my brother’s wedding (oh gee). Worse than that, I’m in the background of all their vow pictures – crying. August-My birthday month. I had my twenty year reunion. I got my first article about my step dad published. 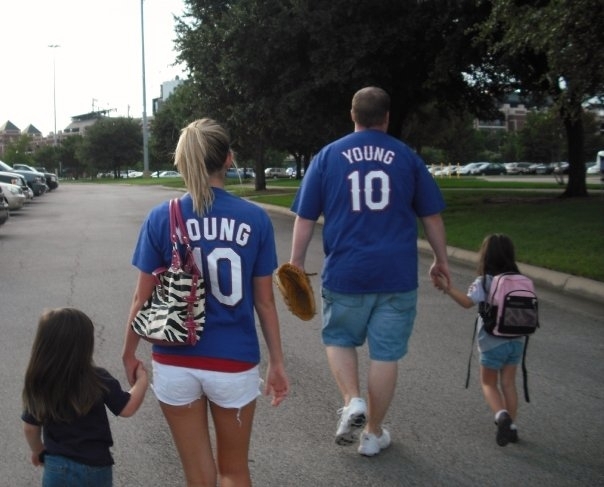 We took the little girls to their first major league baseball game. I had the MOST amazing birthday ever. September-Threw together a last minute family barbeque. Saw P!NK in concert.My sister got engaged, but it rivaled seeing the Cowboys play their first Monday night game in the new stadium. Jason’s best friend got married. 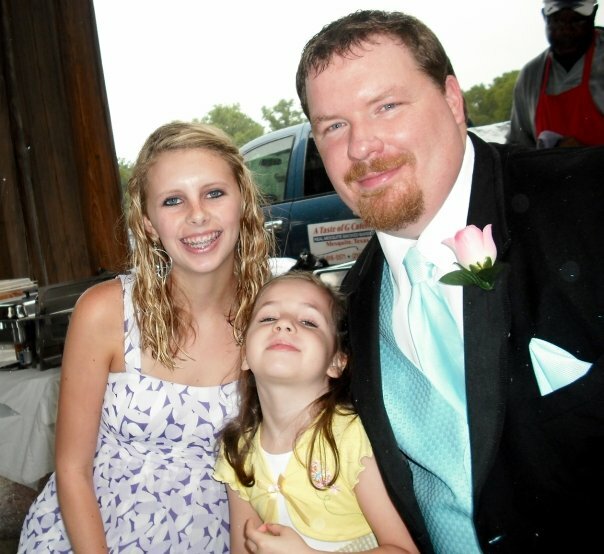 He was a handsome groomsman. 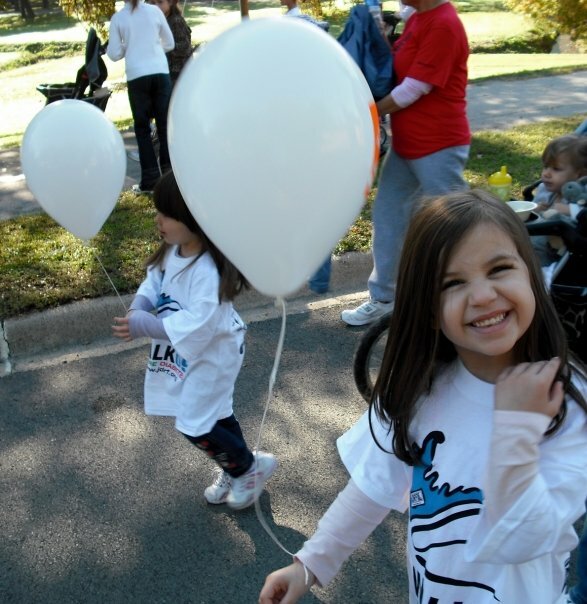 October-We walked for a cause because of someone we dearly love. We raised $698.00. 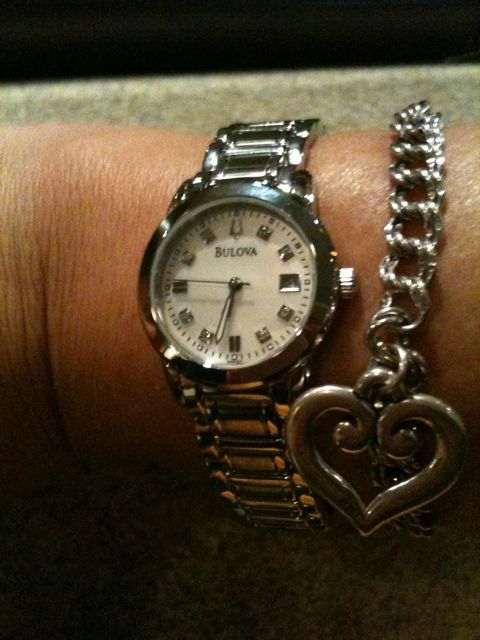 I also participated in another fundraiser BLOG 4 CAUSE E-Book. I was thrilled when my post Arrivederci, Italiano was featured on the wordpress home page for a day. I re-lived my paranormal experience at Halloween. 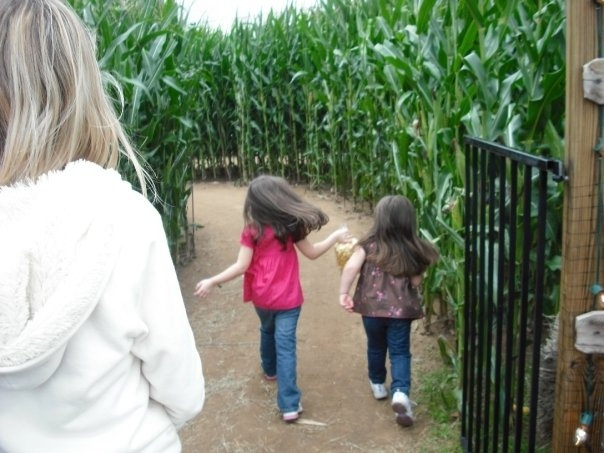 At Hall’s Pumpkin farm, we got lost in a corn maze. November-Jason won a chili cook-off. I shared my my love of gardening. Sydney and I laughed in our local mall and we got kicked out. I was published again for my homeless women story. There was lots of awesomeness. December-My mom met the little girls.It was cool as ICE. My dad died.After a radioactive iodine test, I was diagnosed with a hyperthyroid called, Grave’s Disease. I got engaged. I wrote a poem to capture the magical thrill of my first white Christmas. Wow! What a year I’ve had and it’s not over yet. Tomorrow is my fiance’s birthday. I have a feeling it’s going to be one of his best. How do you top 31 days of gifts? Well, I have a great idea. I think he will be extremely surprised. Thank you for reading and remembering with me. I wish you all well. I am thrilled by your comments, by your support, and your visits. I had NO idea what the blogging community was about. Being a part of it, is definitely the biggest highlight of my year. Have a safe and Happy New Year. I hope it’s blessed beyond measure. Thank you so much for sharing… hearing your testimony and story of the blessings and trials that God has placed in your life is a blessing and I feel encouraged. The journey is just beginning and I pray God’s blessings over your relationship as you move into your marriage with Jason and his children. You have had quite the jam packed year! And you’re ending it with quite the bang by getting engaged and all that jazz! Happy New Year sweetie! I am so glad we’ve become friends through the blogsphere…I can’t even begin to tell you how happy I am for you and Jason! Please wish him a very happy birthday for me! Here’s to another awesome year jampacked with good times! Stopping by from SITS and wishing you a HAPPY NEW YEAR!!!!!! What a year it has been Angelia! It’s great to read about some of the moments over the last twelve. Happy New Year!! And Happy Birthday to Jason! What a year! The love shines through and blessings abound! 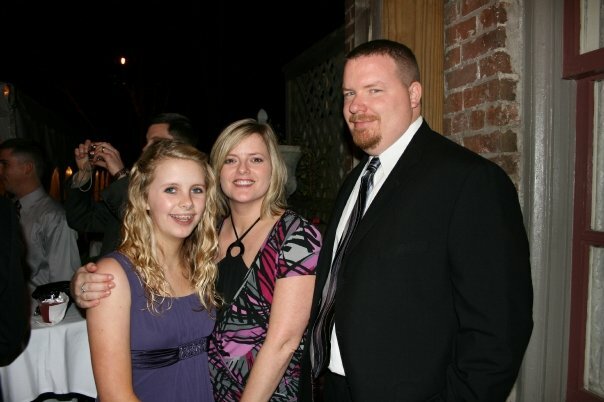 Here’s to a really fantastic 2010 while sharing the love of our family! Love ya! Happy Birthday Jason! What an amazing year! You met the love of your life on my birthday! I hope next year is full of wonderful things too! what an amazing year 2009 has been. 🙂 filled with bunches and bunches of awesomeness! 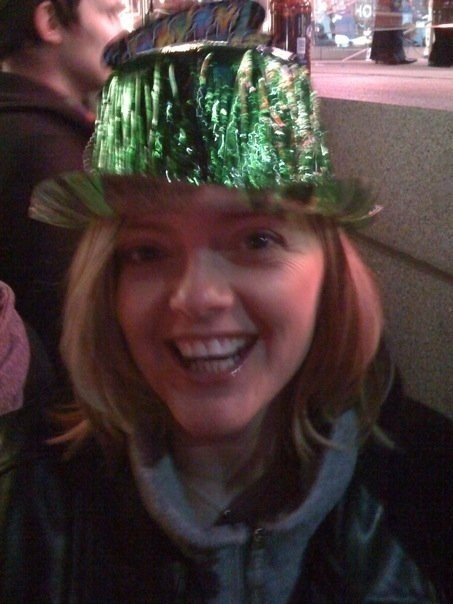 I hope you have an amazing 2010!! You certainly deserve it! And I’m very glad we found each other’s blogs. Congrats to you and Jason and Happy Birthday Jason! May you have a wonderful year and many more to come! It’s been quite a year for you! Hope 2010 is filled with even more good memories. Wow! Wishing you a new year filled with even more blessings! What an amazing year I hope this year is even better!!! I got here late and missed a whole lot so thanks for the 09 wrap up! Glad you’re sharing your voice even if it is the result of people hating! Congrats on the published material- awesome! What an eventful year you had! Here’s hoping the new year will bring many wonderful adventures & surprises. 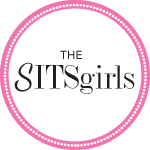 Happy New Year & Happy SITS Saturday Sharefest! Be back soon to catch up! Angelia, am I to understand that you have a broken arm NOW? That you just did this thing? You know you’d be better off just using some decals or stickers on that thing! Before long all that marker and paint is really going to smell bad. Have a wonderful year, sweetie. It’s going to be so great. And I missed the news that you’d gotten the Graves Disease diagnosis. Keep writing. I love stopping by. I hope this year brings you much joy and many blessings!!! I still can’t believe that 2009 went too fast. There were so many things going on at the same time and now we’re just catching up in 2010. Thank you for your post, I realized it’s not just me. Thanx for commenting on my recipe!! I really like your blog it looks like you had a greate year. please let me know how the recipe goes for you!!!! What a great way to say good bye to last year! I’ve been reading your site all morning and I’m really enjoing – becoming a follower!